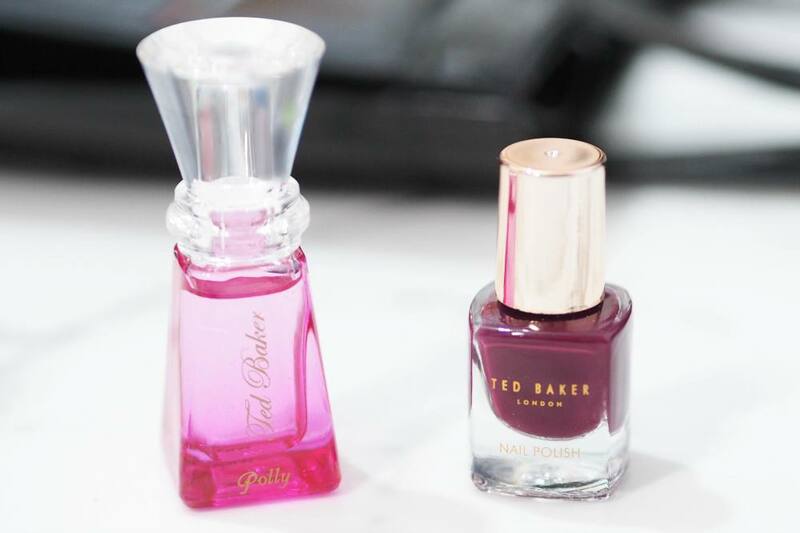 Ted Baker Beauty Stocking Fillers + Giveaway! | Gemma Etc. 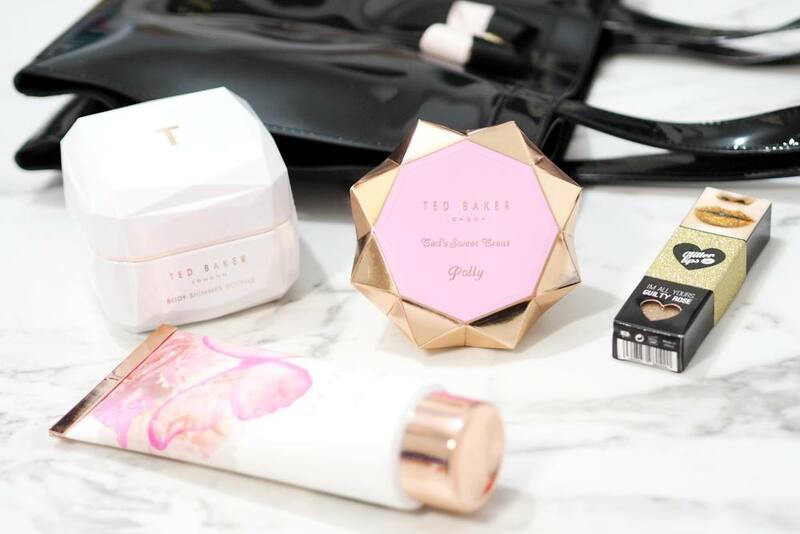 Ted Baker Beauty Stocking Fillers + Giveaway! Ted Baker is such a great brand when it comes to gifting, as Boots always have a lovely range of their giftsets and products for men and women, which make for good gifts and today I have a selection of their products which I think would be good Ted Baker Beauty Stocking Fillers. 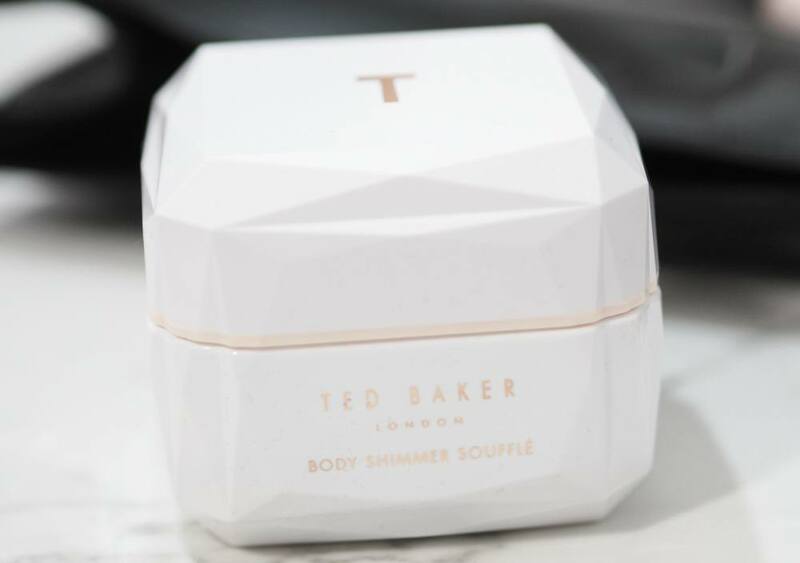 Ted Baker have products ranging from £2.50 for miniature bath and body products all the way through to £50 large giftsets so there’s something for all budgets with the whole Ted Baker beauty range being beautifully packaged with pastel designs with rose gold accents. This body soufflé is packaged within a large, white faceted pot which is quite heavy and chunky with a pastel pink strip along the middle. 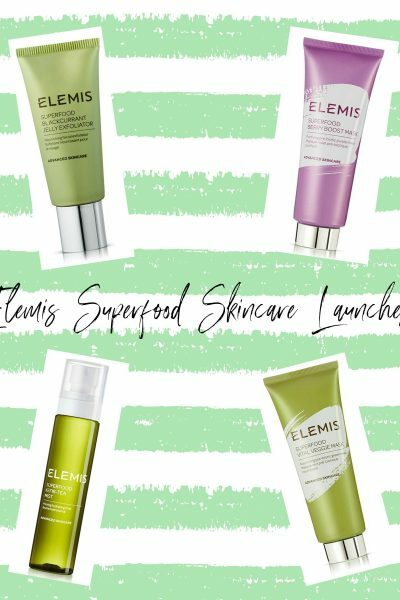 The soufflé is scented with red fruit, tuberose and patchouli and is a thick luxurious body cream to leave the skin delicately fragranced, nourished and glowing with a subtle golden shimmer. I think this is a lovely lotion for the colder months where skin can be left feeling dry and uncomfortable as it’s thick enough to nourish the skin without being too greasy or rich. 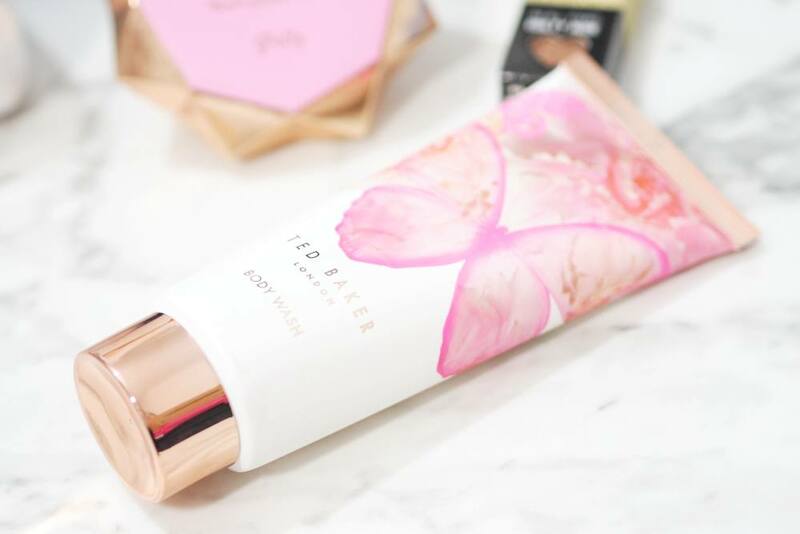 The packaging of this body wash is simply stunning, with a pretty pink butterfly design with flowers and a rose gold metallic lid and bar along the end of the tube. I do think £8 is quite pricey for a body wash but a little does go a long way when used with a shower puff and it smells divine with the scent being a blend of grapefruit, mandarin, mango, neroli, jasmine, patchouli, sandalwood and musk. I think this would be a lovely gift for any female as the packaging is so nice, and it’s a safe option as the scent is so likeable and universal. This gift set contains three star boxes, with each box containing a miniature Ted Baker fragrance and a miniature Ted Baker Nail Polish. The fragrance inside my box is Polly, which you can purchase separately or within this set and the Polly fragrance is a super fruity scent which I think would appeal to teens as it’s quite a young scent, but the bottle looks so pretty. The Nail Polish is a dark plum shade which is perfect for this time of year, and this little box set is a nice idea as you can split it between three people for three gifts. 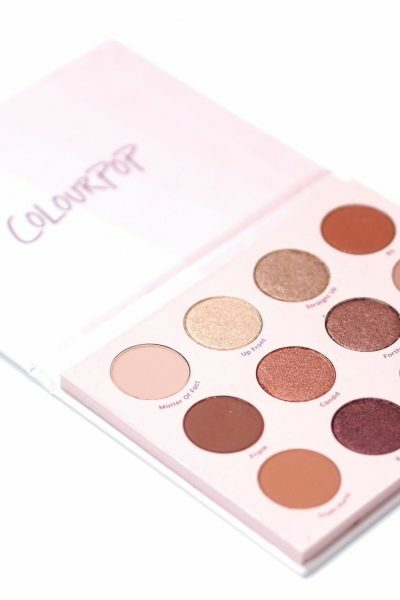 – This giveaway is open internationally and I will be shipping the prize myself via Royal Mail once I have the winner’s details. 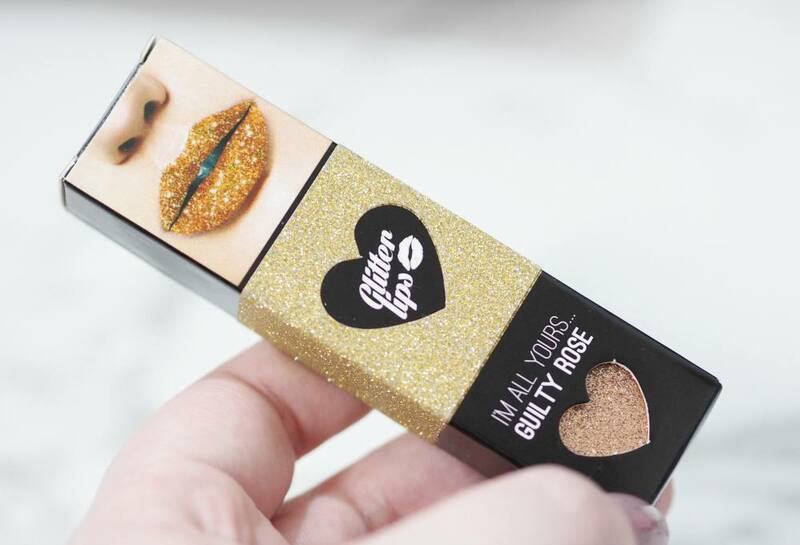 – One winner will be chosen at random via Rafflecopter, and the lucky winner will win a Glitter Lips in Guilty Rose worth £12.50. – I was kindly gifted the product which I’ve decided to use as a prize for this giveaway. – The winner will be notified by the email address given and will have 48 hours to respond. If the winner does not respond within 48 hours, an alternative winner will be selected via Rafflecopter’s randomiser. Prizes will be fulfilled within 30 days of the winner being notified when I’m sending the prize myself. – This is not a sponsored giveaway.